Introducing The Deans, with a demonstration of the most unfathomable two-person telepathy you will ever witness- anywhere - ever! 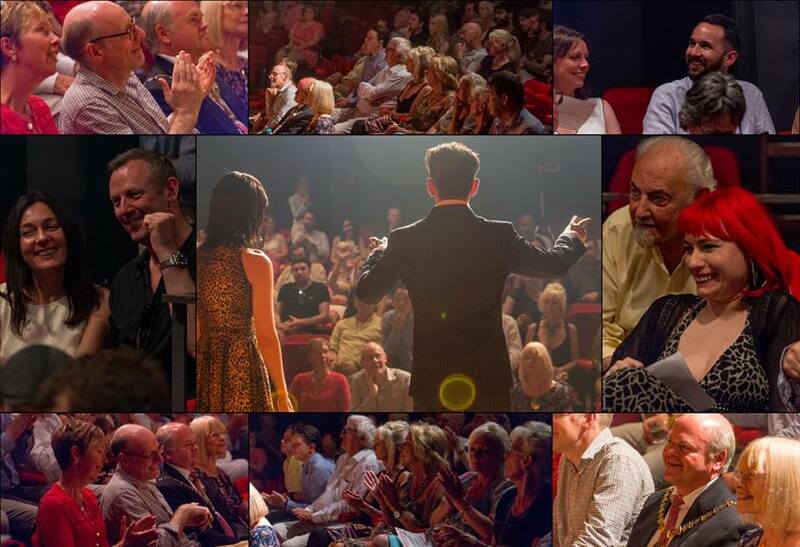 ​Introduced by David Berglas, Unfathomable debuted on the 19th of July at the Bull Theatre: 68 High Street. Barnet. Herts. EN5 5SJ. It earned a standing ovation. ​The panel of experts included Professor Richard Wiseman, Dr Caroline Watt. His worshipful the Mayor of Barnet, David Longstaff and Mayoress Gillian Griffiths. To Amanda Noar for her imaginative vision in directing this for the stage. A truly talented Director, Actor and all round brilliant person. To, the DEANS - Edward James Dean and Margot Fox for their amazing ideas, scripts, spirit, hours of brainstorming and gift for performance. To my son Gary D. Hart for being the Assistant Producer on this project. Martin T Hart sends a thought message to Cindy in San Francisco. Here there are no pre-arrangements, no stooges, ear-pieces, no spoken or visual codes - Martin can send anything, the line from a book, even a drawn picture or a photograph. Unfathomable has already debuted on stage, but could be coming or TV or Radio channel near you very soon. Click below for updates.